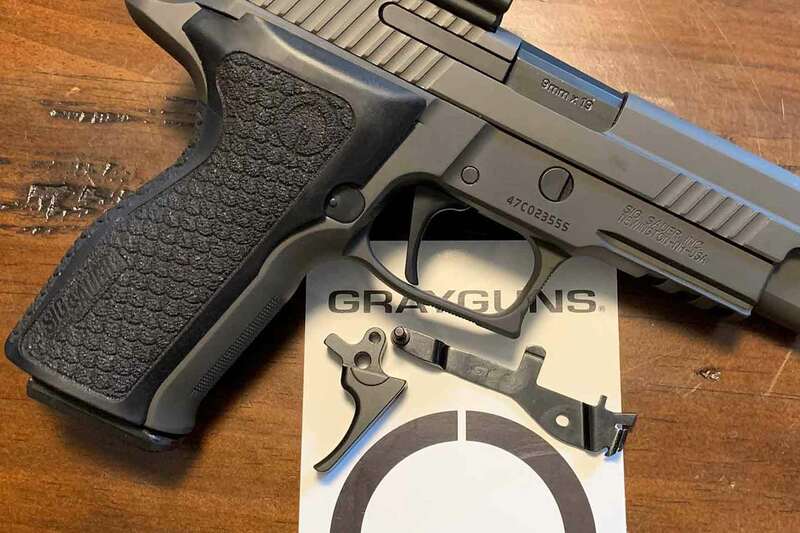 Includes professional installation of the Grayguns P320 Competition Trigger Kit. Select from curved or straight trigger design. Options includes your choice of sights, Grayguns custom fat guide rods and/or laser-sculpted grip modules. This select system reduces pull weight to approximately 4 pounds, while preserving all mechanical safety values. Fast three day turn-around times for all local customers. 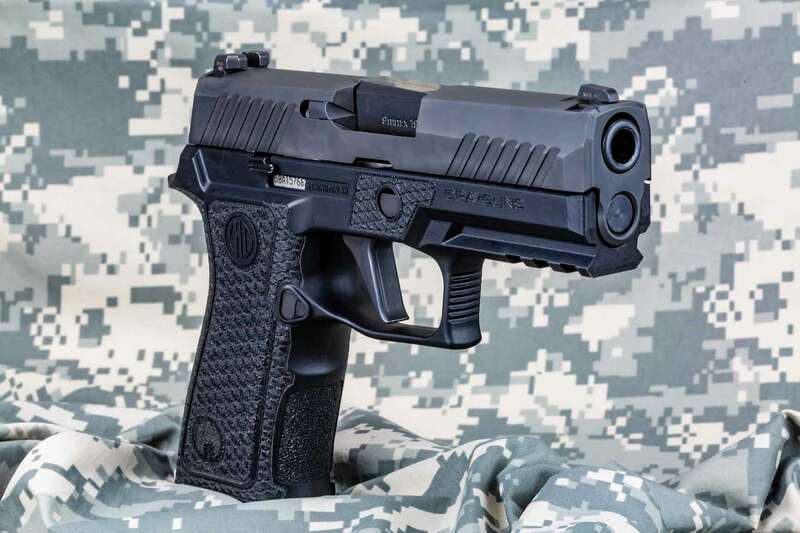 Includes professional installation of the Grayguns P320 Practical Enhanced Leverage P320 Trigger (PELT). Select from curved or straight trigger design. Options includes your choice of sights, Grayguns custom fat guide rods and/or laser-sculpted grip modules. This select system reduces pull weight approximately 2 pounds below factory-stock, while preserving all mechanical safety values. Includes professional installation of the Grayguns Enhanced Daily Carry (EDC) with Straight Optimized Trigger (SOT). 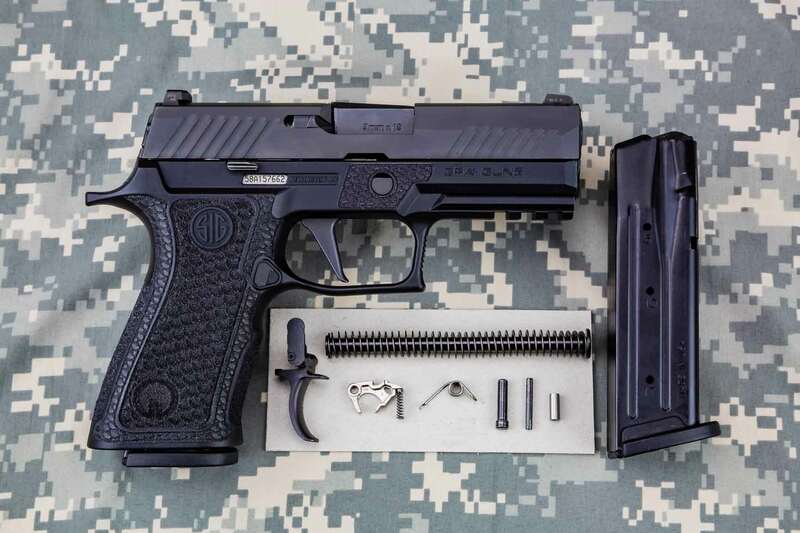 This kit is specifically designed for the SIG Sauer® classic DA/SA P-Series pistols. This select system reduces DA and SA pull weights with dramatically improved pull characteristics., while preserving all mechanical safety values. Includes the adjustable trigger and trigger bar. Fast three day turn-around times for all local customers. Review the compatibility notes at the Grayguns website, and contact us if you have questions. Includes professional installation of the Grayguns P365 Straight Trigger. For a fantastic grip feel, upgrade to the laser-sculpted grip module. 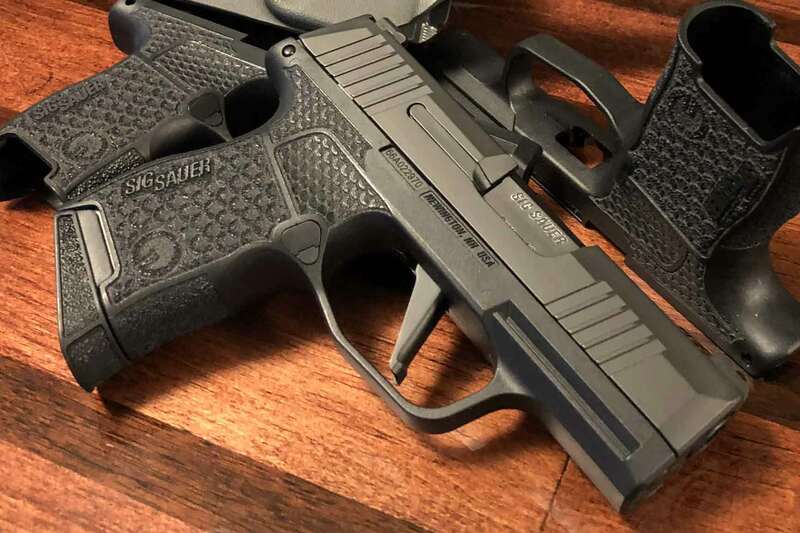 Drop-in, bar-stock design that reduces the length of pull and decreases over-travel while keeping the toe of the trigger in the same location as stock. Installation preserves all mechanical safety values.